WHEEL DIAMETER 20" SWING ARC..................50"
-THE MACHINE WILL SHUT ITSELF OFF IF IT GET OVER LOADED WHEN TRYING TO TAKE OFF TOO MUCH STUMP. * Please call us with any questions about our grinder 27hp hyd. 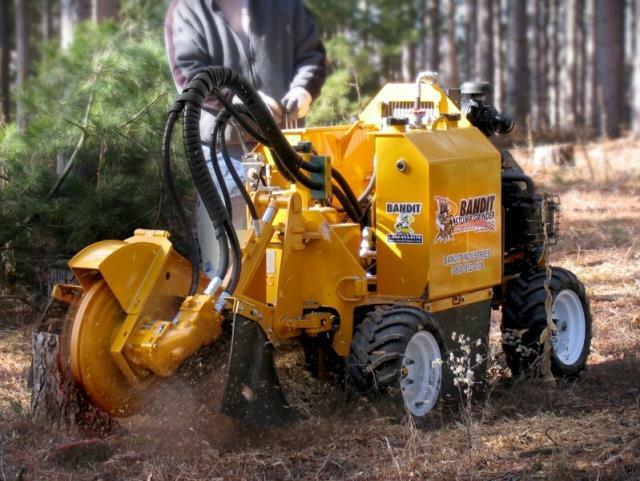 bandit rentals in Tulsa OK and neighboring communities in Northeastern Oklahoma.